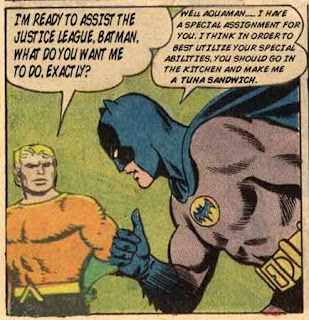 -I´m ready to assist the justice league, BATMAN. What do you want me to do, exactly? 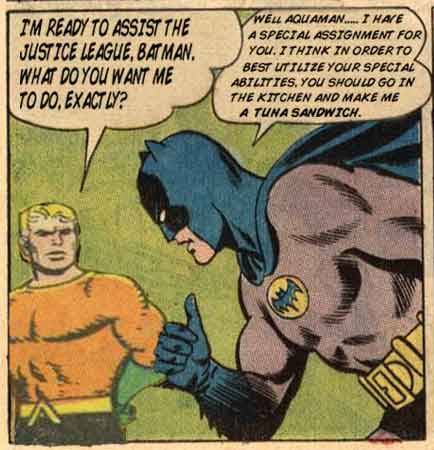 -Well AQUAMAN...I have a special assingment for you. I Think in order to best utilize your special abilities. YOU SHOULD GO IN THE KITCHEN AND MAKE ME A TUNA SANDWICH.